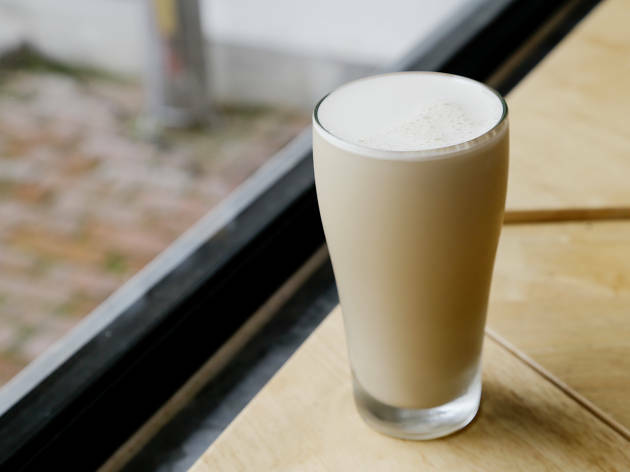 If you’re a fan of nitro coffee, you’d be pleased to know that Bean Reserve has just released a new milk-based nitro cold-brew coffee. Called Nitro White, this is on top of their existing Nitro Black and Nitro Tea. At Bean Reserve, their Nitro Black is essentially cold-brew coffee that’s infused with nitrogen, and it’s served from a tap, much like a beer. As a result, a glass of nitro coffee looks exactly like a pint of Guinness, complete with a head of foam, plus it’s got this cool cascading effect that’s beautiful to look at. Nitro coffee is clean tasting, very smooth, and it has this silky, slightly fizzy quality to it. 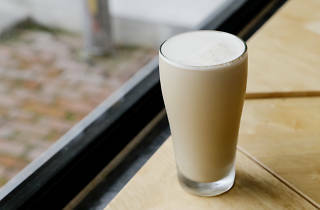 For the new white version, milk is added to the cold-brew coffee before being ‘nitrogenated’. The Nitro White is crisp cold and refreshing, and you’d love the smooth, creaminess of the coffee – in short, very yummy. Even if you’re not a regular coffee person, you could drink this without sugar (you shouldn’t add sugar anyway).